Memorial Day is a ideal time to shout out a huge "THANK YOU", to all our military for the sacrifices they have made, & continue to make on a daily basis. In the words of former Alaskan governor Sarah Palin; " With grateful hearts Americans recognize how sweet it is to live in a country where men and women offer to serve something greater than self. They choose to support and defend the Constitution to preserve our rich heritage, they deny themselves comfort to secure our well-being, and they sacrifice their personal freedom daily that we may enjoy liberty in perpetuity. “Thank you” cannot do justice to the gratitude we feel for our nation’s finest." In addition to our military heroes, I would like to give a tribute to another group of "vets" that have also served our nation well. 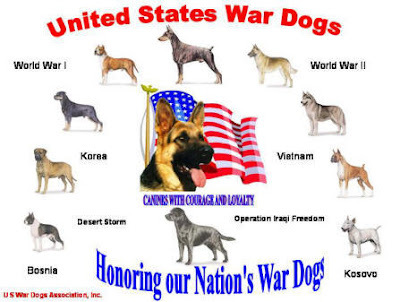 They are America's military " War Dogs." 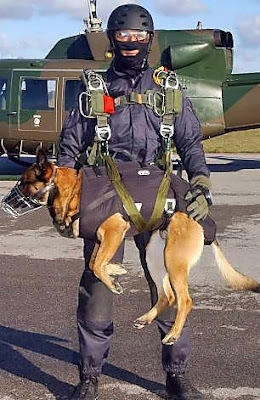 Handlers & Dogs share danger together! 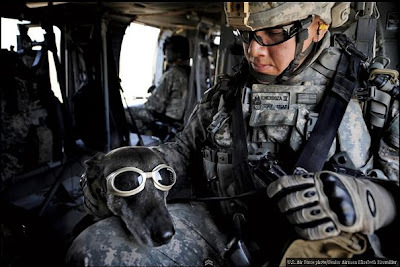 Dogs are willing to "risk it all" for their country! 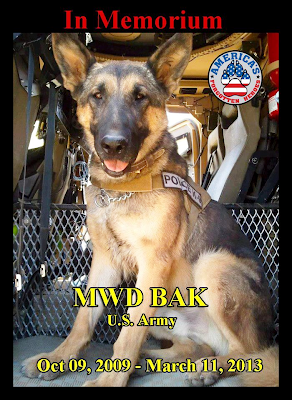 Tens of thousands of "War Dogs" have served in the U.S. Armed Forces, alongside their handlers, since WW1 in the K-9 units. They have gone into combat & have saved our military servicemen's lives countless times. 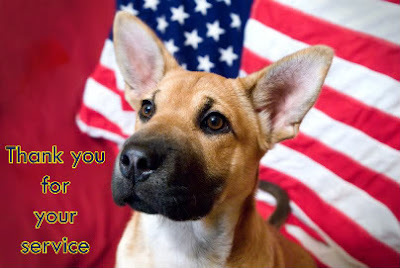 Thousands of dogs have died in the service of our country. Paratroopers geared up & ready to go! Side By Side they fight our enemies! The know how to "Hold" a suspected terrorist! 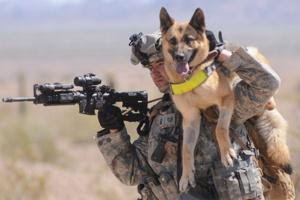 "War Dogs" were used heavily in the wars of the 20th century, & they continue to be used today in a multitude of ways. They flush out enemy forces, sniff out IED's & other bombs, locate weapon caches, & capture & subdue suspected terrorists, along with a host of other missions. They are very often the prime target of the enemy, because of their ability to expose traps & bombs to our troops. Preparing for a jump into enemy territory! 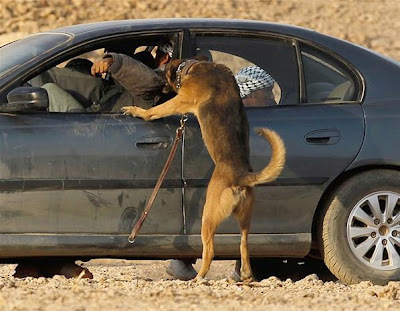 We all love our handlers! We will protect & stick with them to the end! 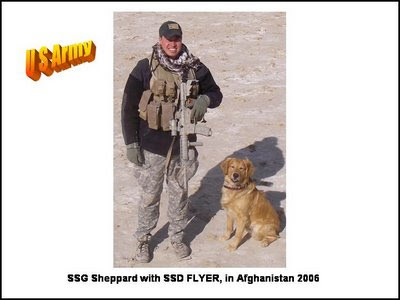 "War Dogs" & their handlers forge a bond that can't be broken. 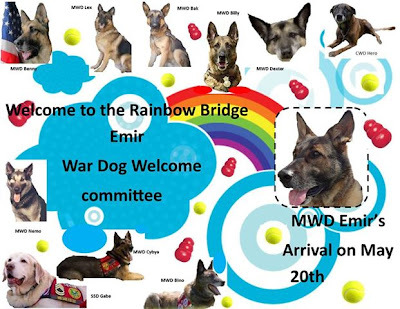 Many of the dogs have been adopted by their handlers after their military service.. There are many heartwarming stories that emerge as a result of this special relationship that is formed. 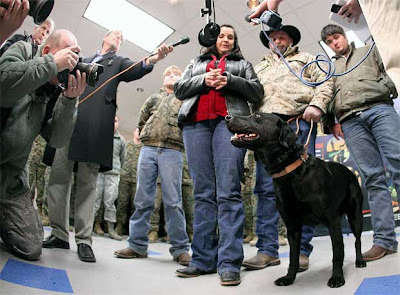 One such story about a bomb sniffing dog named Eli, comes from Afghanistan. Eli's master, Marine Pfc. Colton Rusk, was killed by a Taliban sniper. Eli crawled over to his fallen master & laid on top of him. The Rusk family, thankfully, were able to adopt Eli at a later date, which seems so fitting, considering the bond that Eli had with their fallen son! . 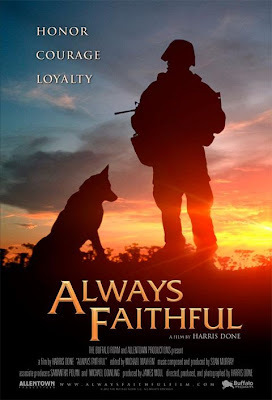 Loyal & Faithful soldiers with paws! The Rusk family with adopted Eli! 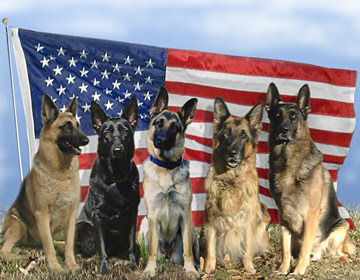 As we remember our brave military heroes & heroines this Memorial Day, we can give thanks also for the thousands of our nation's "War Dogs" & their handlers that also serve us well. 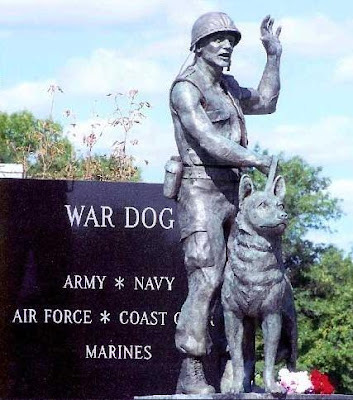 There is a U.S. War Dogs Memorial that was dedicated in June, 2006. We thank Ewe for Ewer Service! Recently killed in the line of duty. 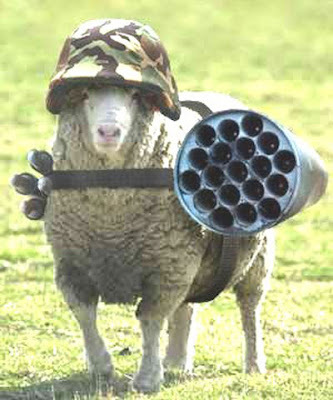 Sheep are no match for the dogs in the military. However, they do have an advocate in guardian dogs & in a Shepherd who will fight their battles for them. Ewe have got to believe me! I have no idea how this works! As we remember our brave soldiers & the individuals who have made the ultimate sacrifice, give thanks for them & their families. 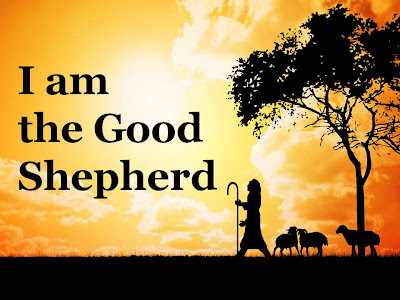 Ewe may choose to reflect also on Ewer Good Shepherd, who has also willingly laid down His life for us all! Happy Memorial Day! I Love EWE That Much! Wonderful Mr. Woods...we enjoyed this so much! Thank you! God Bless those dear souls who have given their lives for this great country. Ewe are so welcome! I'm so glad the Blog blessed Ewer family! There really isn't any adequate way to put into words our gratitude for the sacrifices made for us to be FREE! God is Good! Hope to see Ewe this summer,& Thanks for commenting & for the encouragement! God Bless Ewe!